A coalition of 27 military and veteran organizations asked leaders of the House and Senate armed services committees for more study and congressional oversight before allowing DoD to merge the commissary and exchange systems. A task force convened to analyze the business case for consolidating the stores reported to the DoD chief management officer in January that their analysis supports merging the above-store functions of the exchange systems entirely, along with the above-store functions of the Defense Commissary Agency, into a single organization, while keeping specific grocery functions separate. “Given the varying opinions about the advisability of the [DoD task force] recommendation, we believe an independent review by the Government Accountability Office would be appropriate,” stated the coalition letter. They’re also calling for a congressional hearing to examine the recommendations. Among the groups that signed the letter are Air Force Association, Military Officers Association of America, National Military Family Association, Tragedy Assistance Program for Survivors, Reserve Officers Association, Fleet Reserve Association and Iraq and Afghanistan Veterans of America. In a memo signed March 1, Lisa Hershman, acting DoD chief management officer, approved the business case for the merger. The consolidation of the commissary and exchange systems also must be approved by Acting Deputy Secretary of Defense David Norquist. The first step would be to merge the exchange operations — Army and Air Force Exchange Service, Navy Exchange Service Command, and Marine Corps Exchange. The merger will require the approval of Congress. Current law requires the Defense Department to operate separate commissary and exchange systems, so that law would have to be repealed. Another law prohibits DoD from using any taxpayer dollars to implement consolidation of resale entities until Oct. 1, as lawmakers evaluate the proposal. 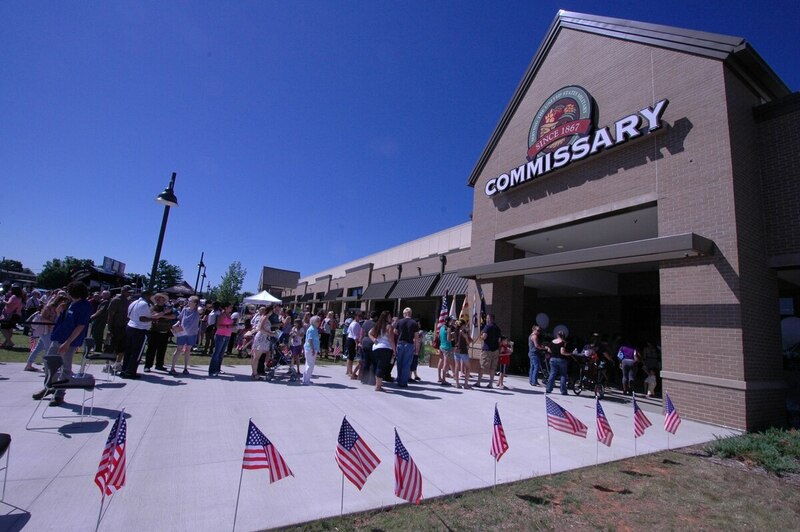 But a commissary-exchange merger proposal has to get past Congress first. In their letter, the coalition members note that while military service leaders concurred with the task force report, they did so with reservations, expressing concerns that the consolidation would take longer and cost more than anticipated, while failing to result in the projected savings in operational costs. DoD personnel and readiness leaders also expressed reservations in their concurrence. “We are concerned that if these predictions are accurate, the defense resale system may be unable to provide the services (low cost groceries and support for [morale, welfare and recreation] programs) relied on by service members, their families and survivors,” the coalition’s letter stated. Part of the profits from sales at exchange stores go the services to fund MWR programs. While the coalition is not opposed to the study of consolidating and streamlining the commissary and exchange back office operations, “we urge caution in implementing changes to a fragile military community ecosystem that may impact other important programs,” the leaders wrote. Their letter was addressed to Sen. James Inhofe, R-Okla., and Sen. Jack Reed, D-R.I., who are the chairman and ranking member of the Senate Armed Services Committee; and to Rep. Adam Smith, D-Wash., and Rep. Mac Thornberry, R-Texas, who are chairman and ranking member of the House Armed Services Committee. In May, 2018, then-Deputy Secretary of Defense Patrick Shanahan ordered the formation of the task force to study the business case for merging commissary and exchange systems.